Juergen Grunert is the father of a daughter with classical EDS. Shortly after she was diagnosed in 1996, Jeurgen started working in patient organizations. Since 2011 he has been the Chairman of the German Ehlers-Danlos Initiative e.V. Raising awareness for EDS in public and among health care professionals is one of the main goals of his work. He is also in the working group of the National Alliance for Rare Diseases (ACHSE) for the National Plan for People with Rare Diseases, and in another working group looking at national health policy. 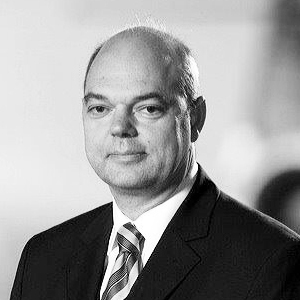 In 2016 Juergen was elected as a Member of ePAG (European Patient Advocacy Group) on two of the 24 European Reference Networks (ERN), especially related to Ehlers-Danlos syndromes: the ERN ReConnect, the European Reference Network on Rare Connective Tissue and Musculoskeletal Diseases; and the VascERN, the European Reference Network on rare multisystemic vascular diseases (especially in the Medium Sized Arteria working group for vascular EDS). This work on the ERNs is a new but very important way of involving patients in research and treatment of EDS. Patients’ views are brought into the committees of health care professionals and all the information from the networks is shared among the European patient community. A strong network is needed.